Designed for home, office or onboard use. Under counter Reverse Osmosis System produces up .. Produces up to 300 gallons per day. 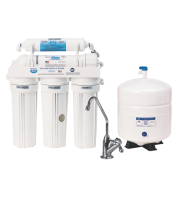 This compact system efficiently produces pure water for ..
Large 500 gpd and up Systems ..